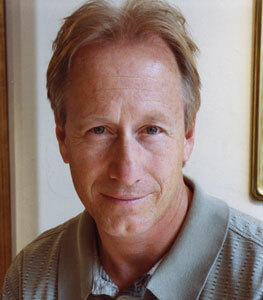 Mark Sublette Medicine Man Gallery specializes in the life work of famed Western Painter Maynard Dixon, famed San Ildefonso potter Maria Martinez, and works by the early Taos and Santa Fe art colonies. 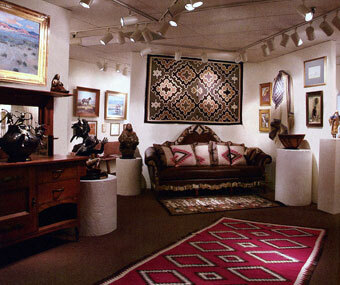 The gallery also represents antique Native American Indian art, including Navajo rugs and blankets, pueblo pottery, basketry, Hopi kachinas, old pawn and contemporary jewelry, and beadwork. The gallery also exhibits work by the Southwest’s most acclaimed contemporary painters and sculptors, including members of the Cowboy Artists of America John Moyers, CA, Fred Fellows, CA, John Coleman, CA, and Oreland Joe, CA. 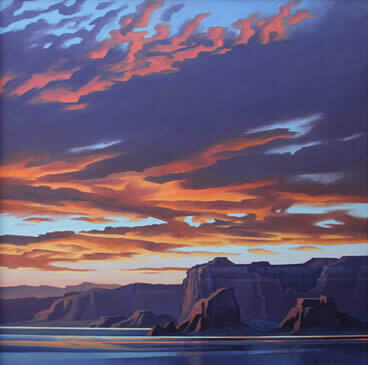 Ed Mell, Powell's Sunset, oil on canvas, 48" x 48"
Upcoming shows include New Works by Ed Mell, opening February 27, 5 to 7 p.m., with Mell in attendance. The show runs concurrent with the Tucson Museum of Art’s exhibition, Ed Mell: Paintings of the New West, and hangs though April 3, 2010.